Fife communities still reeling from the effects of bank closures are to be hit with further bad news this month, it has emerged. 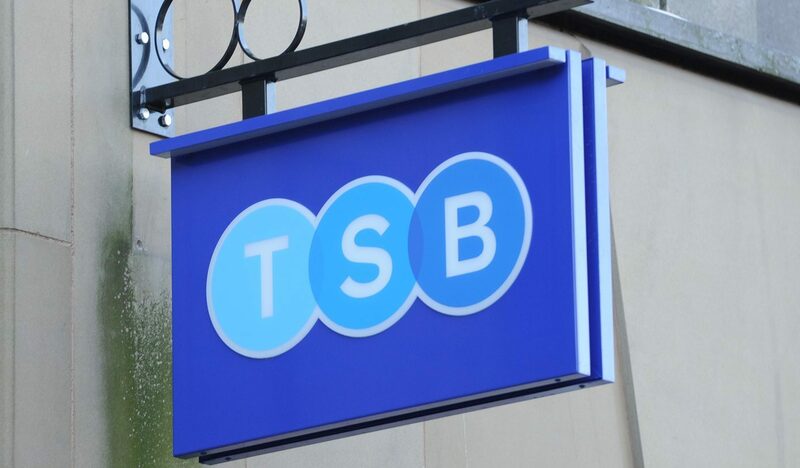 The TSB has confirmed it plans to slash the opening hours of its branches in Anstruther and Cupar, with letters to be issued to customers from April 20. The Anstruther outlet will be open one fewer day per week from the end of July and closed over lunchtime between 12.30pm and 1.30pm, meaning locals will have to use it on a Monday, Wednesday and Friday between 9.30am and 12.30pm and 1.30pm and 4.30pm. Management say people can visit the nearest branch in St Andrews, which is open six days a week, or they can complete a number of personal banking tasks at the Post Office in the Kingsbarns Memorial Hall. Meanwhile, the Cupar branch will also open one fewer day a week and close at lunchtimes, meaning it will be open on Monday, Tuesday and Friday between 9.30am and 12.30pm and 1.30pm and 4.30pm. St Andrews will again be the nearest alternative for those seeking a TSB branch, while the nearest Post Office services are available in Cupar’s Crossgate. A spokesperson for the TSB said customer usage of the Anstruther and Cupar branches had fallen by 2% and 8% respectively over the past year, adding that 76% and 83% of customers respectively said they used another branch or telephone or digital banking services to access TSB banking services. “We know the important role branches play and therefore the days these branches are open have been selected to coincide with the times the branch is busiest. “We will be contacting impacted customers from April 20 to let them know about our decision and we will also publish an impact assessment online and in these branches, which outlines the reasons for this change and options available to customers. The bank also stressed that there will be no job losses as a result of the changes, although in its correspondence it did suggest that the changes were being made “rather than closing the branch”. “Our customers use banking services in different ways and the way they bank has and continues to change,” the bank added. “That is why we try to adapt our offer with our customers and remain focused on offering brilliant service however a customer chooses to bank. The news about the Fife branches come just days after TSB announced that services in Blairgowrie, Coupar Angus, Pitlochry and Aberfeldy are to be dramatically scaled back, with some outlets reduced to just one opening per week. North East Fife Lib Dem MSP Willie Rennie said: “This is another blow to the residents of North East Fife where changes to opening times and, even more worryingly, bank closures are becoming increasingly frequent. “TSB’s change of hours comes hot on the heels of news about Santander’s closure. Our high streets are under a lot of pressure and too many local banks are buckling. “This is a really concerning trend. “Many people like telephone or digital banking but face-to-face services are still essential. “The Liberal Democrats have set out proposals for shared banking hubs in smaller communities, where banks could pull together resources ensuring at least one shop stays open.